WIBIH is an Australian-owned, business management consultancy specialising in the development and delivery of business management solutions using a risk-based approach. WIBIH’s proprietary methodology is extensively utilised working within the Defence and business sectors. 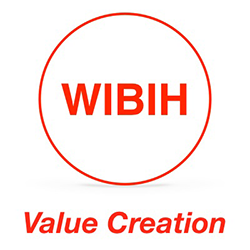 WIBIH has developed a first-class reputation for its leadership in the field of business management consultancy. In monitoring best practice around the world, WIBIH has been invited to participate with regulators, industry groups and companies to deliver successful client based outcomes. WIBIH is positioned to partner with its Clients to ‘minimize risk and maximize opportunity’ and has a proven and unique track record in delivering client outcomes. WIBIH has a unique set of skills which position the company well to meet the needs of Defence from our ACT base. The key strengths of the company include expert staff using fine tuned methodology in the fields of Risk Management, Project Management, Safety, Governance, Assurance and Organisational change. These key WIBIH functions coupled with our experience and past performance are the basis of our claim that we have the capability, competence and passion to support Defence into the future in the ACT market. We serve our Clients at every level of their organisation, whether as a trusted advisor to top management or a hands on coach for operations and project based employees. We continually seek new and better ways to serve our clients, and aim to anticipate their future needs. WIBIH provides a consulting firm that differs from the traditional business consulting firms. Observations and experience of traditional consulting firms indicated they often send inexperienced work teams to clients, spend too much time drafting methodologies rather than affecting change, and are plagued by potential conflicts of interest and an inability to execute.